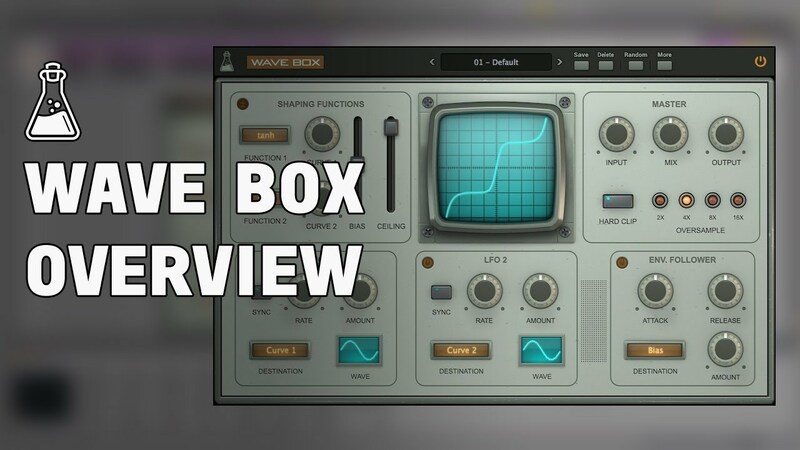 Wave Box is a dynamic dual waveshaper plugin that can be used for both symmetrical and asymmetrical distortion. A waveshaper is a type of distortion in which the input signal is mapped to the output by applying a fixed or variable shaping function. Wave Box features two separate waveshapers that can be mixed together while being modulated by 2 LFOs and 1 Envelope Follower. You can design your own waveshaping curves by combining and adjusting 6 pre-defined functions (tanh, sinh, sin, linear, floor, round). Wave Box can range from mild tube-flavoured overdrive to extreme digital harshness. Try Wave Box for free with some limitations: silence for 3 seconds every 45 seconds, saving disabled.